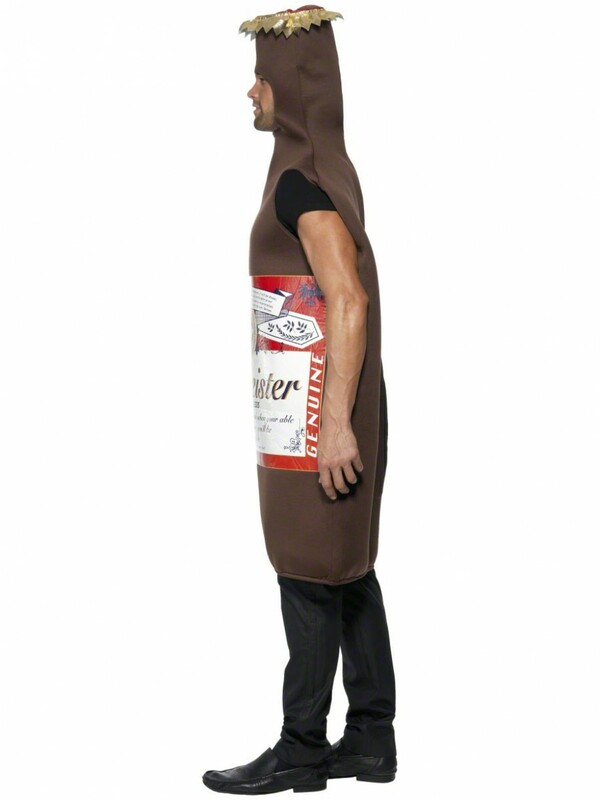 A ‘Studmeister’ beer bottle bodysuit costume. 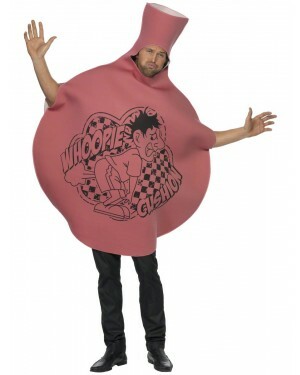 Great fun for Stag dos, Beer Festivals or any comedy fancy dress occasion. 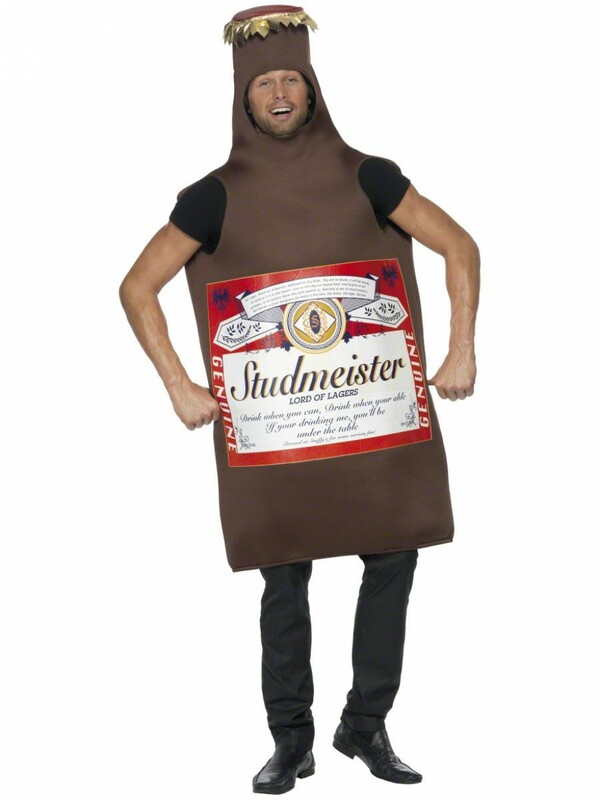 A one piece beer bottle design bodysuit, with ‘Studmeister’ design on the front, as pictured. The front sticker style design has loads of great detail, and the bottle is branded as the ‘Lord of the Lagers – Drink when you can, drink, when you’re able, if your drinking me, you’ll be under the table’. 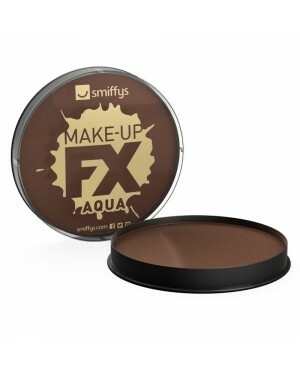 The foam backed padded material is in a brown, with front design, and a fun bottle top on the head. It simply pulls over, with holes for the face, arms and legs. 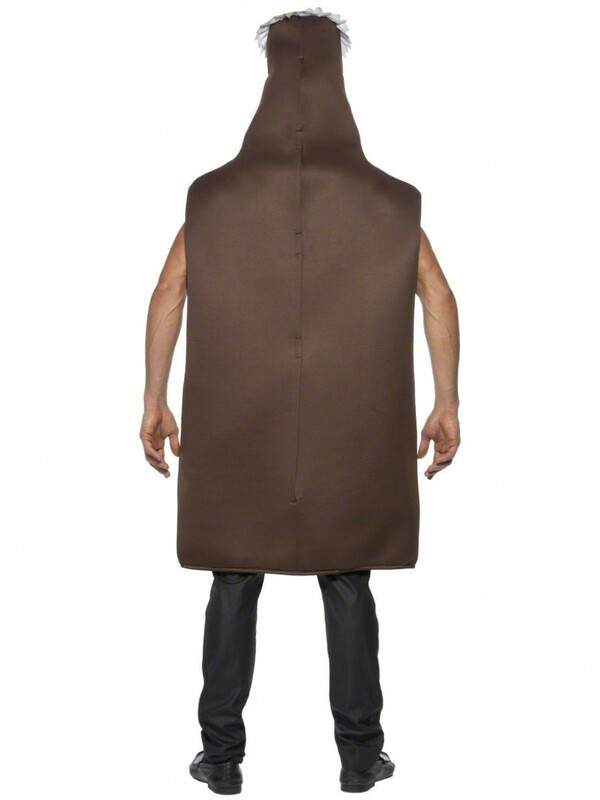 A comedy costume, which is popular for Stag dos, Beer festivals or any fun fancy dress occasion. The under clothes and shoes are pictured for illustration only.